The Implementation & Management Team is a standing committee that coordinates the six SLSP Working Groups and collaborates with the Library Representatives to accomplish their goals. The SLSP Implementation & Management Team ensures policies, procedures, workflows, and other specifications are created with input from all appropriate stakeholders and will review all conflicts from the Working Groups. The SLSP Coordinator will seek to resolve the conflict and, if necessary, coordinate with the SLSP Steering Committee for final resolution. The Implementation and Management Team reports to the SLSP Steering Committee, meeting with them on a regular basis and requesting guidance and support as necessary. Made up of the six chairs of the SLSP Working Groups and the SLSP Coordinator. The PASCAL SLSP Coordinator serves as the chair. During the implementation transition, legacy consortia staff will serve ex officio. Each Working Group chair-elect is strongly encouraged to attend the Team meetings in a fully participatory manner. Team members do not represent their institution but rather use their background and experience to inform the Team's efforts to work for the good of the entire PASCAL membership. The work of the SLSP Implementation & Management Team should be adjusted by their institution so that consortial work is not seen as “extra”, “volunteer”, or “as time allows”, but rather an important formal assignment. To serve on the SLSP Implementation & Management Team you must be the chair of an SLSP Working Group. Each team member and their library dean/director or appropriate University administrator will be asked to review the responsibilities and expectations for the Implementation & Management Team outlined in this document and confirm their commitment to serve via email. In their first meeting of the year, the Implementation & Management Team will discuss and mutually agree upon specific roles for each Team member. Roles may include: communications coordinator, training manual coordinator, and secretary. Coordinate and schedule appropriate timelines, standardized review periods, and clear due dates for policies and procedures. Develop standards and templates for Working Groups to use in the creation of a training manual. Review all conflicts from the Working Groups. The SLSP Coordinator will seek to resolve the conflict and, if necessary, coordinate with the SLSP Steering Committee for final resolution. In consultation with PASCAL staff, coordinate, schedule, and track vendor training for the SLSP. Coordinate with vendors to communicate information about new releases, new documentation, and process/workflow changes to Library Representatives. Create and disseminate a regular meeting schedule (meet at least twice monthly, either virtually or face-to-face). Ensure that minutes of the meetings are posted to the PASCAL website and distributed via appropriate communication channels. Ensure timely and effective communication related to the progress of the SLSP’s implementation and ongoing management to PASCAL members and to the Steering Committee. If a member of the Implementation & Management Team is also a Library Representative they will need to understand that as a member of the Team, they will be representing the SLSP first and their institution second. However, when they are doing the work of the Representative, they are doing so with their institution’s best interests in mind. Coordinate with vendors to communicate information about SLSP implementation, management, training, new releases, new documentation, and process/workflow changes to PASCAL members. 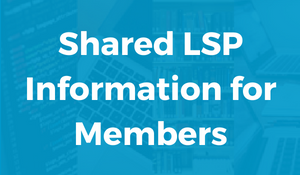 Communicate regularly with the Working Groups, Steering Committee, and Library Representatives on specific issues related to the implementation and management of the SLSP. Communicate any unresolved conflicts from the Working Group(s) and/or Library Representatives to the SLSP Steering Committee for resolution. Communicate any decisions made by the SLSP Steering Committee to the relevant Working Group(s) and Library Representatives as appropriate. Provide updates as appropriate at PASCAL meetings. Post meeting minutes to the PASCAL website and distribute them to all stakeholders. The SLSP Implementation & Management Team will ensure policies, procedures, workflows, and other specifications are created with input from all appropriate stakeholders. The Team will review real and potential conflicts and the SLSP Coordinator will seek to resolve them and, if necessary, coordinate with the SLSP Steering Committee for final resolution. The Implementation and Management Team will communicate any decisions made by SLSP Steering Committee to the relevant Working Group(s) and Library Representatives as appropriate. Implementation & Management Team members will attend in-person and/or online training with the SLSP Coordinator, as appropriate. Training will convey responsibilities, expectations, workflows, decision-making parameters, and any relevant communication methods such as listservs, conferencing software, etc. Legacy consortia within PASCAL include SCILS, PAILS, and ALPSC which represent 23 PASCAL member libraries. The University of South Carolina system represents an additional 10 libraries. The systems support librarians for these groups will occupy an important role during the implementation process, therefore it is recommended that they serve ex officio on the Implementation and Management Team during the duration of the transition period. Last updated November February 2, 2018.